All of that content just doesn’t always fit in one large menu, no matter how organized it may be. While many websites need more than two, all websites have at least two main menus: primary and secondary. 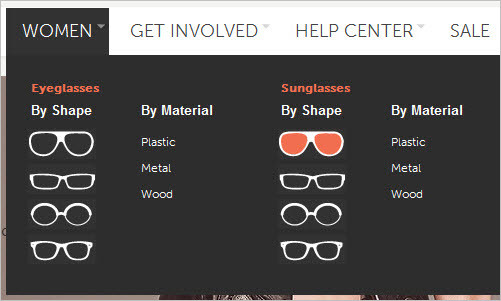 Primary navigation stands for the content that most users are interested in. But importance is relative; the type of content linked from the primary navigation on one website may be the same kind linked from the secondary navigation on another. For websites where navigation changes based on whether a user is logged in or out, other organizational challenges arise. Some websites may have a simple client area, while others have full-fledged communities. When this kind of interaction is involved, user roles and available content may vary, and owners may want to highlight some content or design it differently. Card sorting is important to help you out. Another thing to consider is the website’s primary language and whether the content will need to be translated into several languages….Will translated items require two lines instead of one or an overflow in the horizontal menu? While horizontal menus are best for top-level navigation, larger websites often need more in-depth navigation. Drop-down menus can fit a lot of items in one space, thus saving valuable real estate and keeping the navigation organized. The hierarchy can be refined with sub-levels and even sub-levels of sub-levels, helping users filter the information to get to the page or section they want.